It was my first time in South America. 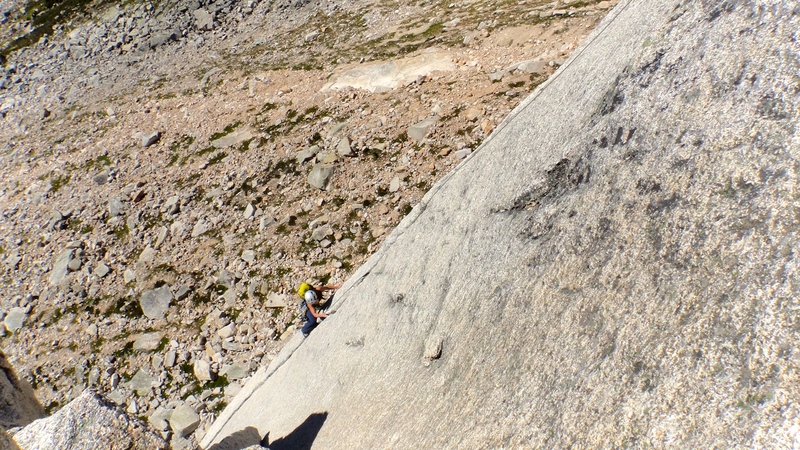 When I heard about Cochamo, a place for granite multi-pitch full of cracks and corners, I knew I had to visit. Cochamo is in Chile. It has been a popular destination for Chilean hikers and is starting to become a popular international destination among climbers. I originally was planning to go there with my friends, but I couldn’t get the same time off. 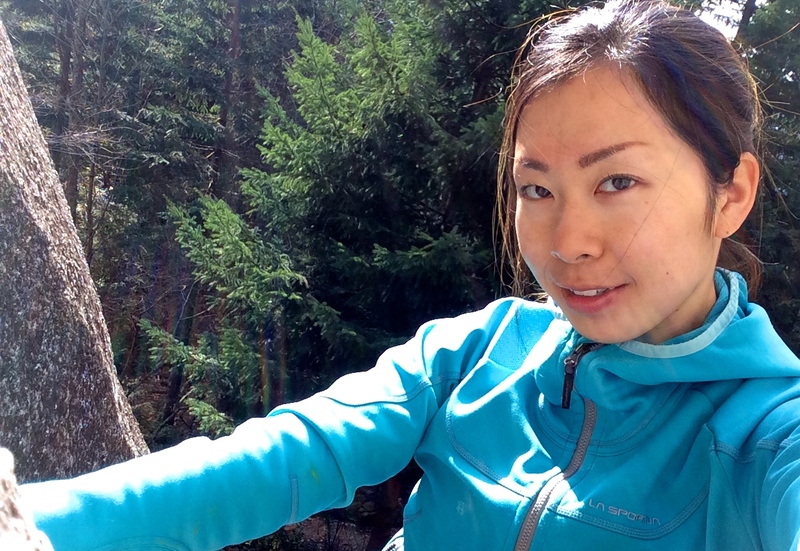 I’ve heard it is common to travel solo and find climbing partners in Cochamo, so I decided to do a solo trip. I booked my flight, packed my bags and left winter in north for a month, in January 2018. On November 22, 2016, I had a shoulder surgery. Prior to my surgery, I was dealing with my shoulder injury for about 2 years. The shoulder injury I had was a SLAP (Superior Labrum Anterior and Posterior) tear. It was a tear in a labrum, a ring shaped cartilage in between humeral head (top of the arm bone) and scapula (shoulder blade bone) that helps stabilize the shoulder joint. SLAP defines the location of the tear, superior (=top), anterior (=front), and posterior (=back). SLAP tear is a common injury for climbers and overhead motion athletes. Even though surgery is not always necessary, I couldn’t get my shoulder strong enough with the alternative treatments so I decided to have a surgery. 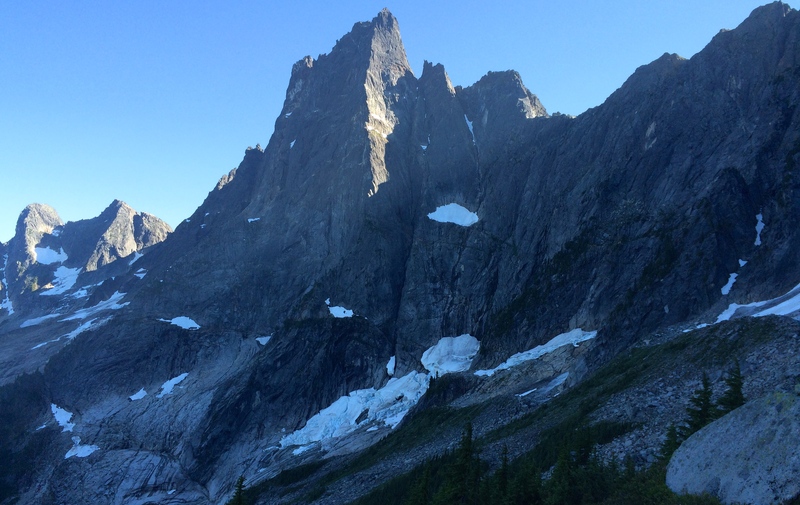 For the second half of our alpine climbing week, we decided to do North Rib on Mt. Slesse. We hiked out of Springbok Arete area on July 2, rested in air conditioned hotel room, then headed to Mt. Slesse area on July 3. Mt. Slesse is an impressive mountain that means “fang” in native’s language. The route will be easier this time, but much longer. We knew our climbing day here would be a long one. 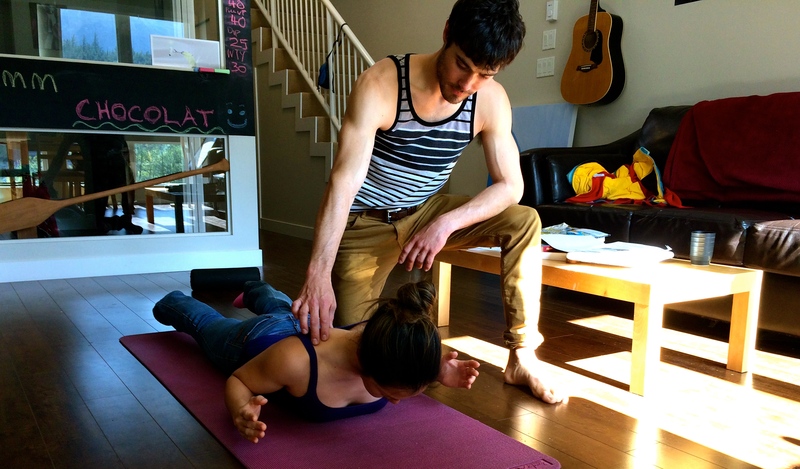 Week 30: Physiotherapist in My Training Program! Will giving me instructions on rehab exercises. There was a huge change in my training program a couple months ago. Physiotherapist Will Bateman has started to take part in my training program. 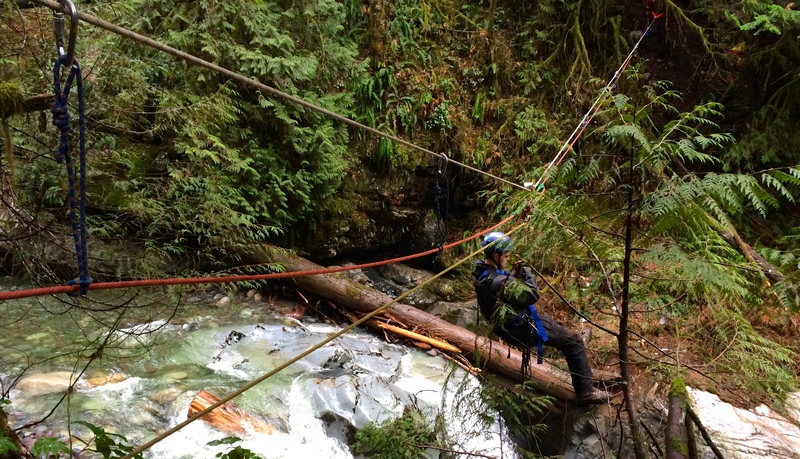 He is a physiotherapist in Squamish, BC, who is a keen climber and also does many mountain sports. It is amazing to have a physiotherapist who understands the sport specific moves.